| Intarsia knitting technique with 8 colours. | Knitted monochrome lining for extra comfort. | Matching loop scarf and sweater available. What are your most liked memories from school? Are they of an academic nature or about your friends and how you had fun together? Handmade alpaca beanie Cuszco takes you to a place of joy. It was inspired by a colourful afternoon in the region of Cuzco. The local school was celebrating its 25th anniversary and all the children had dressed up in celebratory outfits. From traditional Peruvian garments to trendy modern day styles–there were no boundaries to their imagination. 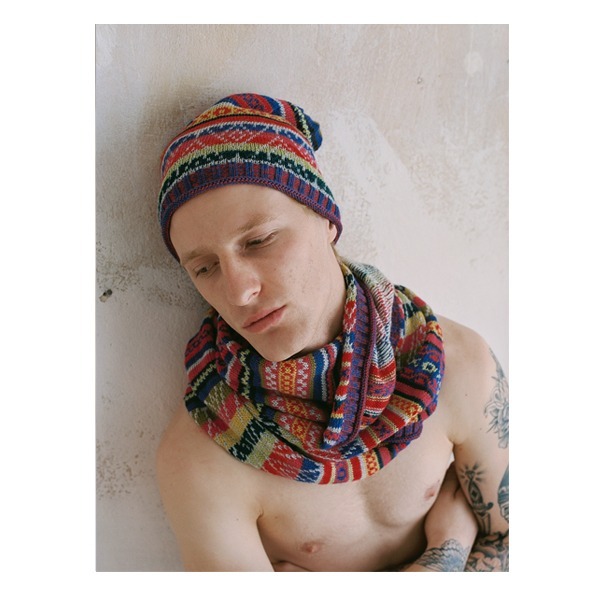 Beanie Cuzco celebrates in many beautiful colours and patterns the joy creativity brings to everyone’s lives.